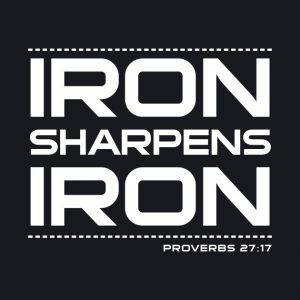 Iron Sharpens Iron consists of four workouts occurring over four weeks, beginning with workout 19.1 (note that the workouts are designated by their year and the order in which they are issued. A new workout will be released every Monday afternoon during the four weeks of Iron Sharpens Iron and will include a scaled workout option tailored for different age groups and fitness levels. After the workout is released, any athlete who has registered will have until 9 a.m on the following Monday to submit their best score online. Workouts can be done wherever is most convenient for you, whether that’s your home, your church, or a gym. You will not need any special fitness equipment to participate. 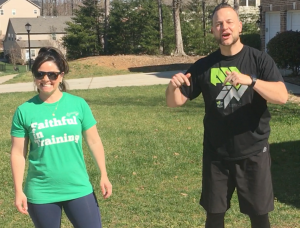 WEEK 1 IRON SHARPENS IRON WORKOUT RELEASE VIDEO WITH INSTRUCTIONS! Your Score to email in is the time it took you to complete this. Details on the competition can be found here. It’s not too late to register!